Australia’s first Indigenous-led digital social impact initiative is being launched to empower disconnected and disadvantaged communities and ensure people “don’t get left behind” in the new digital economy. D:HIVE co-founders Leigh Harris and Julie-Ann Lambourne. D:HIVE, which is being launched on 3 May in Cairns, aims to bring Aboriginal and Torres Strait Islanders, refugees, new migrants and people with disability together in a co-creation digital hub. 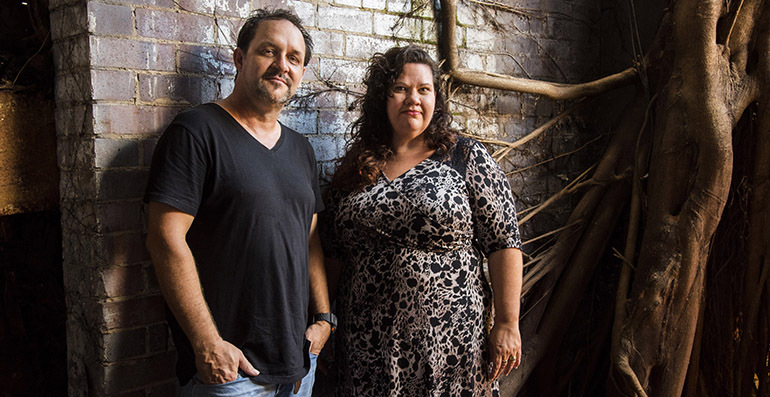 The venture, which is 100 per cent Indigenous owned, will work with individuals, groups and communities throughout Far North Queensland to help them turn their innovation ideas into collaborative startup enterprises. Co-founder Leigh Harris told Pro Bono News marginalised communities were missing out on the economic and social opportunities offered by the new economy. “Diversity in technology in digital arenas and in start-up isn’t as diverse as it should be,” Harris said. “D:HIVE is basically about bringing Torres Strait islanders, refugees, new migrants and people with disabilities together to formulate a tech inclusive, digital innovation space – what I call a digital social impact venture. 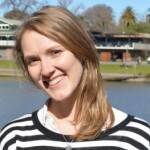 “[It] basically means that we bring people in that might not have the connectability that other people have, so disadvantaged groups realistically and minority groups, and we bring them into a space where they can learn about the digital environment and about technology, but also about how to optimise that for their own development opportunity. Harris, who also developed Australia’s first Indigenous mobile app in 2006, first conceived of the hub six years ago. He has since partnered with Julie-Ann Lambourne, who runs enVizion, a not-for-profit employment and training agency for minority groups in Cairns, to help it take shape. “[Lambourne] actually had the clientele already, so she does work programs and training for Aboriginal and Torres Strait Islanders, new migrants, refugees, and people with disability. So it seemed to be a good match,” Harris said. He said D:HIVE, which will be located at enVizion, was unique. “I don’t think anyone’s constructed this anywhere else in Australia, and we’re getting attention from international people wanting to actively be involved with this, people from Silicon Valley that are really seeing that this is a bit of a shining light here in Australia,” he said. He said the project was about being connected. “Realistically for people all they have to do is come in and be a part of it, basically. They don’t have to sign up, it’s a co-working environment, so if you turn up there, you’ll be entered into the program, and you can participate actively with learning and building your digital literacy,” he said. “[It is] also about being connected in a space… even though the government will say ‘everybody’s connected’, some people still can’t afford to be connected at home, they’ve only got connection on their mobile device. “So we’re going to facilitate a process where you can come and be connected, you can improve your digital literacy skills. And once you’re at a stage where you’ve got that level of understanding about the environment that is digital and technology, then we’ll engage a group of people into building assets that are of benefit to the communities, as some sort of social impact. Whether that be, for instance, having a site that is a marketplace for goods produced by these particular groups of people, similar to something like etsy, you know in a unique fashion. Harris said while D:HIVE was oriented towards certain groups in regional and remote areas, it was a place for anyone of social and digital disadvantage. “We want to engage with people to improve their literacy, number one. Number two, well I suppose one and two, is literacy and connectability. You improve that first of all and then build their skills up into that environment that is start-up,” he said. Harris said innovation was critical to regional development but it was important to be more innovative in ensuring the benefits of the digital economy did not pass by those who were already missing out. “I worked throughout Cape York, in remote communities in the Torres Strait, and also out west of there, and affordability is an issue but the simplicity of having connection in some places isn’t there,” he said. “There needs to be a constructive effort to improve that affordability ratio for Aboriginal and Torres Strait Islander communities. But everybody on the whole. “The internet was developed like free-to-air TV, in that everybody had access to it and was able to access it. It turned into this huge monopoly of money making, where there are these people who have got connection and these people haven’t, and once you haven’t got it, you lose opportunity, you lose connectivity with people. He said improving literacy levels was also a priority. “I go to some communities where they are connected, and most people have a mobile device which they’re connected to. The danger is that into the future, cyber security and all those types of things, particular for Aboriginal and Torres Strait Islander people in remote communities, is going to be a very, very big problem if people aren’t literate in the usage of their device and what they’re doing with it,” he said. “We don’t want people to get left behind,” Lambourne said. “Imagine the potential talent we may be missing out on if Indigenous people, new migrants and those with disabilities are excluded from participating and contributing to the growth of the digital economy.